On Dec. 1, 2015, Miranda Mead learned that the back pain she'd attributed to a fall was actually a tumor. She was diagnosed with Ewing's sarcoma, a rare cancer, just days after her 16th birthday. So instead of getting her driver's license, Miranda got a treatment plan, including proton beam therapy at Mayo Clinic's Rochester campus. She "freaked out" after receiving the diagnosis, Miranda tells WCCO-TV. But shock quickly turned to determination as the straight-A student and member of the Wayzata High School cross country team decided "to remain optimistic." Miranda's done just that — and much more. As she learned about childhood cancer, her optimism turned to activism. 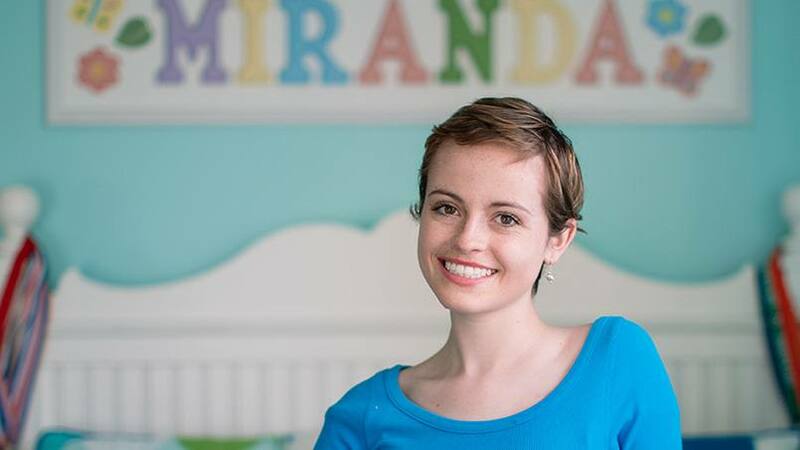 "When I found out that childhood cancer receives four percent of the entire national cancer budget, I was shocked," Miranda tells CCX Media. So she decided to get involved with organizations dedicated to raising awareness of (and increasing funding for) childhood cancer. "She started her advocacy at the worst part of her treatment," Miranda's mom (and self-proclaimed "momager" of her daughter's many volunteer commitments), Julie, tells us. "She was having chemo and radiation. She was exhausted and in pain. Her body was depleted. But volunteering was exactly what she needed." So whenever Miranda was asked to get involved with an organization or event, she said yes. "Volunteer work was an outlet and a distraction for me," Miranda says. "It was therapeutic to talk about my experiences. Volunteering turned everything going on into something positive." That "something positive" included speaking engagements and public service announcements with organizations including The Truth 365, which aims to "shine a light on the state of childhood cancer research funding." As part of her involvement with the organization, Miranda spoke from the floor of the New York Stock Exchange. She also hosted CureFest on the National Mall in Washington, D.C. And she's an active volunteer with other organizations, including Make-a-Wish and Rein in Sarcoma. Miranda recently learned she's cancer-free. But that doesn't mean she'll leave her cancer experience behind her. She'll continue to be monitored closely over the next five years. And she'll continue to serve as an advocate for a cause she's come to care about deeply. Miranda tells us her experiences as an advocate and a patient have gotten her thinking about life after high school. She's interested in broadcasting, thanks to discovering an ease in front of the camera. But she's also considering a career as a radiation therapist, thanks in part to the radiation therapists she met at Mayo Clinic. "My team at Mayo was absolutely fantastic," she tells us. "They weren't just people treating me. They were my friends. I always felt welcomed and was almost sad to be done with therapy. Those people changed my life." You can change our lives by leaving a comment below. Then use the social media tools to share this story with others.